Tottenham are interested in Manchester United forward Anthony Martial, according to the football transfer rumours in English Media. Anthony Martial has joined Manchester United from AS Monaco for a fee in the region of 50 million euros in September 2015. The 21 year-old has a valid contract with Manchester United until the June 2019. Since his arrival from AS Monaco, Anthony Martial has scored 26 goals and provided 20 assists in 79 games for Premier League giant Manchester United, including seven goals and six assists in 23 games in all competition this season. 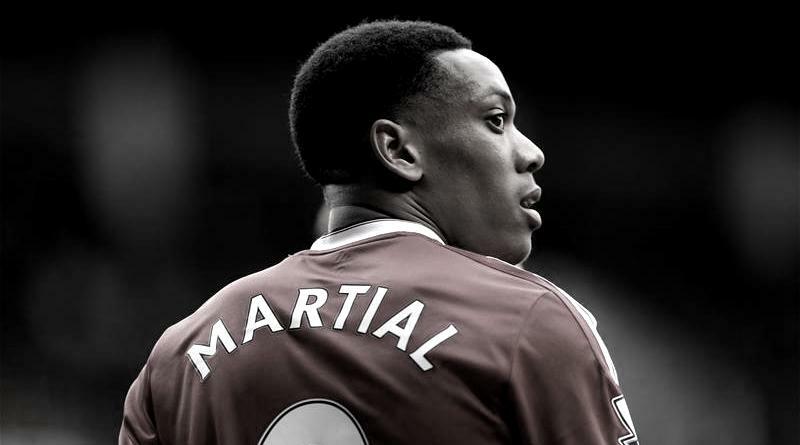 Martial has also represented France at Under-16, Under-17, Under-18, Under-19 and Under-21 level, winning 51 caps across all age groups and scoring 25 goals. Since September 2015, Anthony Martial is a member of French national team, winning 15 caps and scoring one goal. The France international is considered to be one of the brightest prospects in the Premier League. Anthony Martial has been long term target of Mauricio Pochettino as the manager look to bolster his attacking options for the next season. Euro Football Rumours understood that it will be very difficult for Anthony Martial to keep his place in Manchester United first eleven next season, if Ateltico Madrid superstar Antoine Griezmann come to Old Trafford in the summer transfer window.